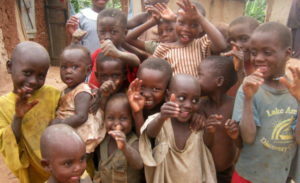 A photo showing Ugandan children. A new report shows Children from Uganda’s poorest families will be hardest hit by the negative effects of climate change and urbanisation. Courtesy photo. Children from Uganda’s poorest families will be hardest hit by the negative effects of climate change and urbanisation in the country over the next decade a new report released on Wednesday reveals. Three government departments; Office of the Prime Minister, the national bureau of statistics, the city authority and National Planning Authority, collaborated with Unicef in writing the report whose research set out to establish the effects of climate change and urbanisation on children the country. Ms Christine Guwatudde Kintu, the permanent secretary at the office of the prime minister, warned that “these challenges threaten to undermine (Uganda’s) national potential and trap millions of children in poverty”. “We must take action now to develop child-centred programmes that prepare for and prevent climate-related hazards as well as ensure that children living in urban areas are protected and able to achieve their full potential,” she said. Uganda’s rapidly changing climate is likely to have an impact on the majority of the population who live in rural areas and are dependent on rain-fed agriculture, as well as on the economy as a whole, the report indicates. Children already make up more than half of Uganda’s population with almost 50 percent of those under the age of five reported to be living in poverty. According to the report, Uganda has one of the fastest changing climates in the world. Temperatures are predicted to rise by an unprecedented 1.5ºC in the next 20 years and by up to 4.3ºC by the 2080s. Over the next decade, climate-related crop failure and income loss are likely to affect food supplies as well as cause reduced spending on food, the report observes. This will jeopardise children’s nutritional status, cognitive capacity, health and well-being. 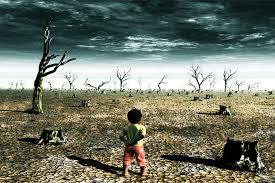 More pronounced climate variability will also have an increasingly significant effect on children’s education. It is feared that when coping with the aftermath of an extreme weather event or shock like a drought, flood, or landslide, school drop-outs are more likely. “It is important that we promote direct intervention on improving food security especially during drought as shortage of food in families mostly affects children,” Unicef communication specialist Ntabadde said at the report launch. As such, there is an urgent need to strengthen Uganda’s capacity to forecast climate. Ntabadde pointed out that investment in mitigating drought, a weather phenomenon which contributes to girls dropping out of school and subsequent increase in early child marriage, is vital. The researchers found that people are moving from rural to urban areas at a rapid rate of over 5 per cent each year in Uganda. By 2035, it is estimated that 30 per cent of Uganda’s population will be urban dwellers – up from 20 per cent today – with a high proportion of them being children and youth. While children living in urban areas are generally considered better off than their rural counterparts – with greater access to services and their parents having more diverse income-generating opportunities – they are also particularly vulnerable to homelessness, exploitation and abuse. For example, while one per cent of households in Kampala live below the poverty line, in some parishes, up to 14 per cent of children live in poor households. Urbanisation poses additional threats to adolescents and youth from poorer households, especially girls and young women, a population group that already faces significant risk of sexual violence and HIV/AIDS. Children and young people living in slums and informal settlements are also disproportionately vulnerable to a variety of deprivations, including overcrowded living conditions, poor sanitation, low educational attainment and a lack of income-generating opportunities for their parents and, as they become adults, themselves.